Igor Levit starts his 2014-15 season with recital performances featuring staples of his repertoire such as Bach, Beethoven, Busoni and Shostakovich at Frankfurt’s Alte Oper, Prinzregententheater Munich, Laeiszhalle Hamburg, Konzerthaus Berlin, as well as at Copenhagen’s Black Diamond, Birmingham’s Town Hall and at Tonhalle Zürich. London’s Wigmore Hall is dedicating an introductory series to Igor Levit featuring three solo recitals throughout the season, the finale being an evening of music by Cornelius Cardew and Frederic Rzewski in July 2015. In spring 2015 Igor Levit returns to the Heidelberger Frühling in his capacity of the Festival’s Chamber Music Academy’s Artistic Director and makes recital debuts with Washington’s Performing Arts Society and The Gilmore in Michigan. Orchestral debuts await with the San Francisco Symphony (Heras-Casado) and Cincinnati Symphony Orchestra (Norrington) as well as with the hr-Sinfonieorchestr (Manze) and the Bavarian Radio Symphony Orchestra (Bringuier). The season sees Igor Levit reunited with the London Philharmonic Orchestra, Staatskapelle Dresden (V. Jurowski) and the WDR Sinfonieorchester (Saraste). He returns in recital to Germany’s summer festivals, Ludwigsburger Schlossfestspiele, Klavierfestival Ruhr, Kissinger Sommer, Festspiele as well as Mecklenburg-Vorpommern and continues his Beethoven Sonata Cycle at the Schubertiade in Austria. Last season Igor Levit celebrated both his recital and orchestral debut on the main stage of Vienna’s Musikverein to great critical acclaim: jumping in for Maurizio Pollini in June 2014 and for Helene Grimaud (City of Birmingham Symphony Orchestra with Andris Nelsons) respectively in March 2014. Only four days earlier on 12 March 2014, Igor Levit made his New York City recital debut at the Park Avenue Armory to effusive reviews both by The New Yorker and The New Times. Further recital performances in 2013-14 saw him amongst others at Zurich’s Tonhalle, at the Berlin Philharmonie and London’s Queen Elizabeth Hall. The season marked his debuts with the Deutsches Symphonie-Orchester Berlin, Konzerthausorchester Berlin and the Royal Scottish National Orchestra. He was Artist in Residence at the Kissinger Sommer as well as Preisträger in Residence at the Festival Mecklenburg-Vorpommern. 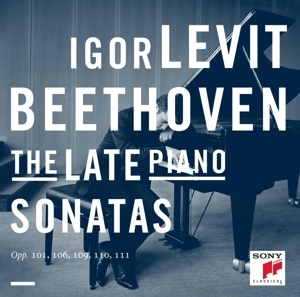 An exclusive recording artist for Sony Classical, Igor Levit’s debut disc of the five last Beethoven sonatas won the BBC Music Magazine Newcomer of the Year 2014 Award, the Royal Philharmonic Society’s Young Artist Award 2014 and the ECHO 2014 for Solo Recording of the Year (19th Century Music)/Piano. His second recording for Sony – Johann Sebastian Bach’s Six Partitas – was released in August 2014. Highlights of the 2012-13 season included debuts with the Orchestre Philharmonique du Luxembourg, the BBC Symphony Orchestra, WDR Sinfonieorchester and Danish National Symphony Orchestra. Nominated by Laeiszhalle Elbphilharmonie Hamburg, Kölner Philharmonie and Festspielhaus Baden-Baden for the concert series „ECHO Rising Stars“, Igor Levit has debuted as a recitalist at Brussel’s Palais des Beaux Arts, Amsterdam’s Concertgebouw, the Musikverein, Town Hall, Birmingham and Stockholm’s Konserthus. Mr. Levit has also appeared with the London Philharmonic Orchestra, Staatskapelle Dresden, Vienna Symphonic Orchestra and the NDR Radiophilharmonie Hannover – engagements which were immediately followed by re-invitations. . Having dedicated to Igor Levit eight sonatas of his cycle “Nano Sonaten”, Frederic Rzewski has composed a cycle of four pieces “Dreams II” for him which Igor Levit will premiere at Heidelberger Frühling in 2015. Composer Frederic Rzewski has dedicated eight sonatas of his cycle “Nano Sonaten” to Igor Levit and is currently composing a world premiere for the young pianist in 2015. 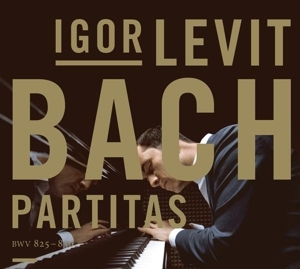 Among Igor Levit’s chamber music partners are Lisa Batiashvili, Simon Bode, Ning Feng, Julia Fischer, Sol Gabetta, Christiane Karg, Jörg Widmann, Maxim Vengerov and Tabea Zimmermann. 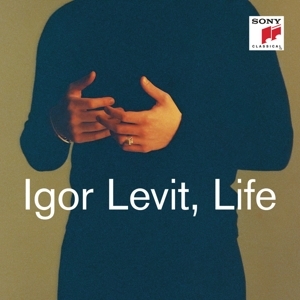 Born in Nizhni Nowgorod in 1987, Igor Levit at age eight moved with his family to Germany where he completed his piano studies at Hannover Academy of Music, Theatre and Media in 2009 with the highest academic and performance scores in the history of the institute. Mr. Levit has studied under the tutelage of Karl-Heinz Kämmerling, Matti Raekallio, Bernd Goetze, Lajos Rovatkay and Hans Leygraf. As youngest participant in 2005 Arthur Rubinstein Competition in Tel Aviv, Igor Levit won the Silver Prize, the Prize for Best Performer of Chamber Music, the „Audience Favorite“ Prize and the Prize for Best Performer of Contemporary Music. Previously, he had won the First Prize of the International Hamamtsu Piano Academy Competition in Japan. Since 2003 Igor Levit has been a scolarship student at Studienstiftung des Deutschen Volkes as well as at Deutsche Stiftung Musikleben. Igor Levit makes his home in Hannover.